Today's Feel Good Friday story is all about Zooniverse! 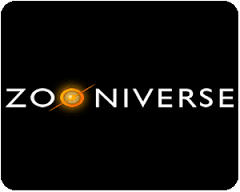 As summarized on their website, "Zooniverse is the world's largest and most popular platform for people-powered research. This research is made possible by volunteers - hundreds of thousands of people around the world who come together to assist professional researchers." I learned about them yesterday when I volunteered to count penguins with some coworkers. Scientific data collection can be too much of a good thing. "With the help of Zooniverse volunteers, researchers can analyze their information more quickly and accurately than would otherwise be possible, saving time and resources, advancing the ability of computers to do the same tasks, and leading to faster progress and understanding of the world, getting to exciting results more quickly." That's right, you're advancing scientific discovery and artificial intelligence, all while clicking on adorable pictures of penguins. The results can be found in the many Zooniverse publications. 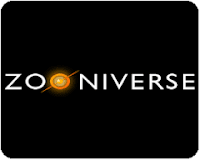 Zooniverse is a partnership between organizations in the UK, such as the University of Oxford and organizations in the US, including the Adler Planetarium in Chicago and the University of Minnesota. For the educators among you, visit ZooTeach, a website where teachers share lesson plans and resources that compliment Zooniverse's projects. What projects, you ask? There are a wide variety focused in the areas of nature, space, literature, medicine, arts, climate and more! Some of the projects that sound interesting to me (in addition to the penguins) are counting flowers for bees, training an algorithm to recognize plastic trash on the beach, annotating and tagging diaries from WWI and characterizing bat calls.